U.S. Secretary of State John Kerry will arrive in Moscow for a working visit on Tuesday, Dec. 15, the Russian Foreign Ministry reported on Dec. 11. 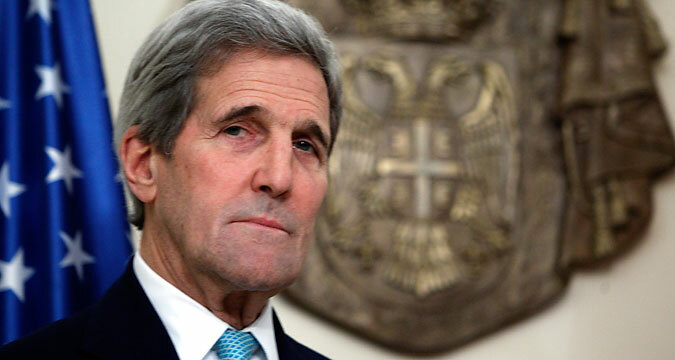 "U.S. Secretary of State John Kerry will pay a working visit to Moscow on Dec. 15. His negotiations with Russian Foreign Minister Sergei Lavrov should involve an exchange of opinions on bilateral interaction and relevant international problems," it said. "We expect that U.S. Secretary of State John Kerry's visit to Russia - the second this year - would help normalize Russian-U.S. relations, an atmosphere in which in large part determines the general climate on the world arena," it said. "The situation surrounding the Russian-American relationship remains complicated," and "Russia has consistently pointed to the need to observe the principles of equality, mutual respect, and non-interference in internal affairs in these relations," the Foreign Ministry said. "We are continuing to work together with Washington on matters where such interaction meets Russia's interests and for the purposes of maintaining international security. Measures against terrorism are among the priority topics in this dialogue," it said.